This is a story about social networks and the thrill of discovering something I didn’t know I was looking for. It’s also a story about the power of social engagement and brand love. I spend lots of time (sometimes it feels like too much time) trying to convince business leaders and marketers in financial services firms of the vast opportunity represented by the social web. So when I stumble upon something as great as PEMCO’s social engagement strategy, I want to shout it from the rooftops. PEMCO is a smaller, regional insurance company based in Seattle and serving the Pacific Northwest US. 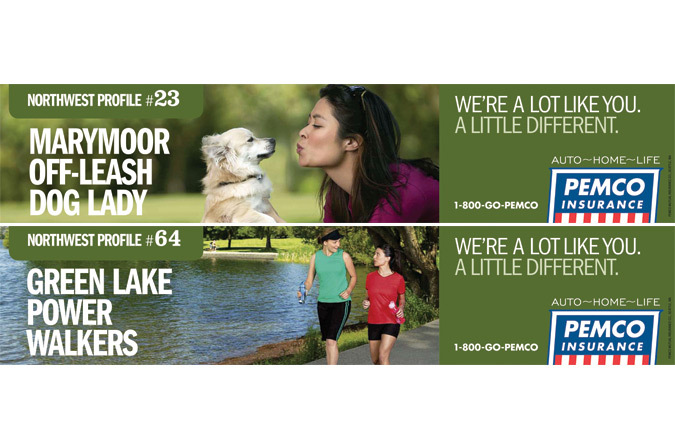 Facing deep-pocketed, national competitors that could out-spend them in marketing, PEMCO changed the rules of the marketing game. Here, watch this video and they’ll tell you how. The man behind the PEMCO success story is Rod Brooks, a genuine social networker and C-level marketer who clearly gets it. This guy’s the real deal. The strategy behind the PEMCO campaign is not a secret. Pick up any good social media marketing book published in the past decade and you’ll find Rod’s recipe for success. Strive for deep social engagement and fierce customer loyalty, don’t just do social media. Social media is just a set of tools. What you should be striving to do with them is engage customers and build their trust and loyalty. Too many companies just throw up a Facebook page and Twitter account and start posting marketing drivel without thinking about how disengaging that is. Do your SWOT analysis and seek strategic advantage. Spend the time to analyze your strengths and weaknesses in the market and look hard for ways to gain competitive advantage. Most financial services companies have evolved corporate cultures that are so risk averse that all they see is risk, whether it’s because they’re getting too far ahead or falling too far behind the competition. The result: marketing strategies that are always looking over their shoulders to make sure they stay safely right in the middle of the pack. If you can’t win the game as defined, redefine the rules of the game. Gatekeepers have a vested interest in maintaining the status quo business model because they’ve optimized their structure and operations to win that game. Gatejumpers – a term I first came across in Brogan and Smith’s Trust Agents – change the game so that their strengths prevail. That’s precisely what Brooks and PEMCO did to the marketing of insurance. PEMCO set out to really understand their customers and to give them what they wanted. They didn’t want to hear about insurance. And they showed an affinity for businesses with a solid grounding in their community. 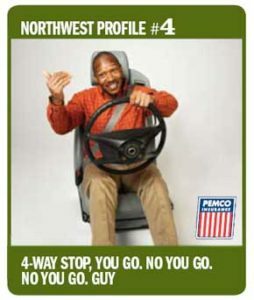 So PEMCO developed a campaign that showed the people of Seattle that they knew them, perhaps even better than they knew themselves. And they didn’t talk about insurance. While these ideas are out there and widely available to anyone, Rod Brooks internalized them and became a student of social media. His genius lies is not in inventing these strategies – but in executing them so spectacularly. In the slide deck below, Rod explains some of the thinking behind this campaign and how it became about social engagement and not just advertising. What strikes me is how much of the process of creating and executing such a successful social engagement campaign involves overcoming internal organizational barriers – the biases and inertia, the lack of awareness and outright ignorance, and the absence of innovative corporate cultures. Rod and PEMCO overcame these barriers within their organization and created a model that others can – and should – follow in their organizations. There’s one final point I want to make about how I discovered Rod Brooks and PEMCO because it goes right to the heart of the power of social networks and engagement strategies. As part of a project I’m working on, I reached out to a few of my online connections working in financial services and marketing. Just to clarify, these are people who I’ve gotten to know online through thoughtful interactions and exchanges, but who I’ve never met in person and in some cases never even spoken with on the phone. In traditional terms, these people would be considered strangers and, in fact, I don’t actually know that much about them or they about me. Yet I’ve managed to get well-enough acquainted with them through social networks that I could ask for help and they felt similarly and responded generously toward me and provided some very helpful information. For the skeptics and doubters of social tools and strategies, the value of these human connections will always be the antidote. So, a big thanks to Pat Allen of Rock the Boat Marketing for the tip on PEMCO. And while I’m at it, a tip of the hat to Todd Greider who gave me an hour or more of his time helping me understand another insurance related issue. And thanks to Rod Brooks for inspiring me (and an entire industry) with the power of social engagement. Jay, couldn’t agree with you more–love the trail-blazing work that Rod Brooks has done and I also appreciate the value of the connections made on social networks. We are all in this together is my POV. Keep up the great work! I’m sorry I missed this comment when you originally made it, Pat. I appreciate and share your perspective. Thanks for taking the time to comment.